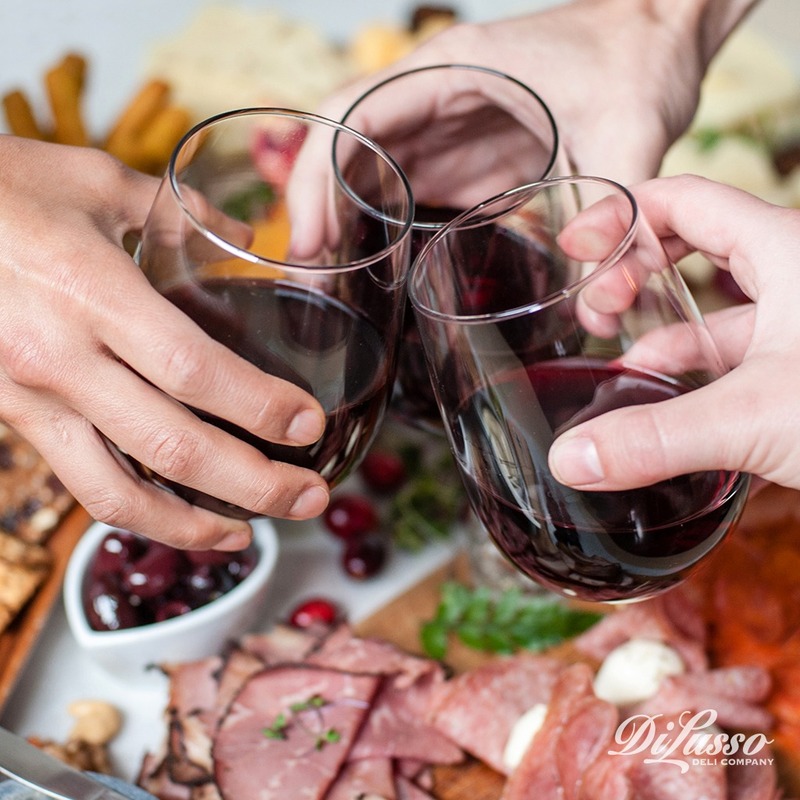 A regular presence at gatherings since the dawn of time (or so it seems), the charcuterie board is an appetizer staple. We all have memories of crowding around boards and platters scattered with all sorts of delicious tidbits. Chatting as we seek out our favorite cheese cubes or salami slices. Part of the charcuterie board’s appeal stems from how easy it is to make. Most people toss together meat, cheese and crackers, and then call it good. 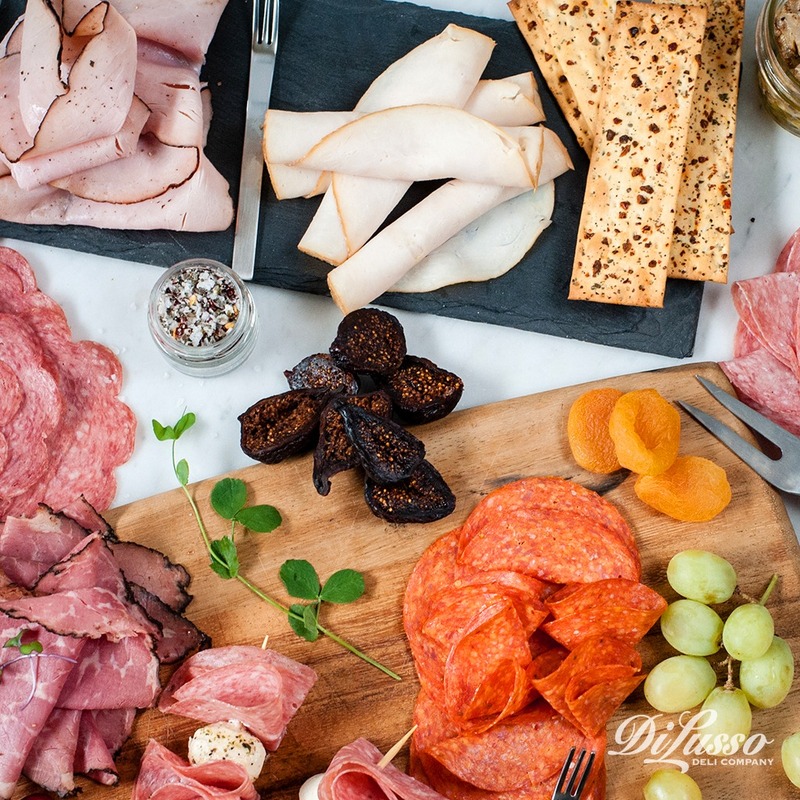 While it’s easy to make a good charcuterie board, with just a little more forethought you can make a great charcuterie board that combines an even larger assortment of flavors, textures and colors, and allows for more creativity on the guest’s part. To make life easier for you, we did all of the thinking. We collected our best tips and advice to create this charcuterie guide. All you have to do is follow along! 1. Flavor: Cater to palates of all kinds by including an assortment of flavors: salty, spicy, savory, sweet. 2. Texture: Keep it interesting by incorporating diverse textures: crunchy and smooth, crisp and creamy, etc. 3. Color: Appetite appeal begins with the eyes so look for ingredients that really pop. Seek out rich reds, vibrant greens, deep purples. 4. 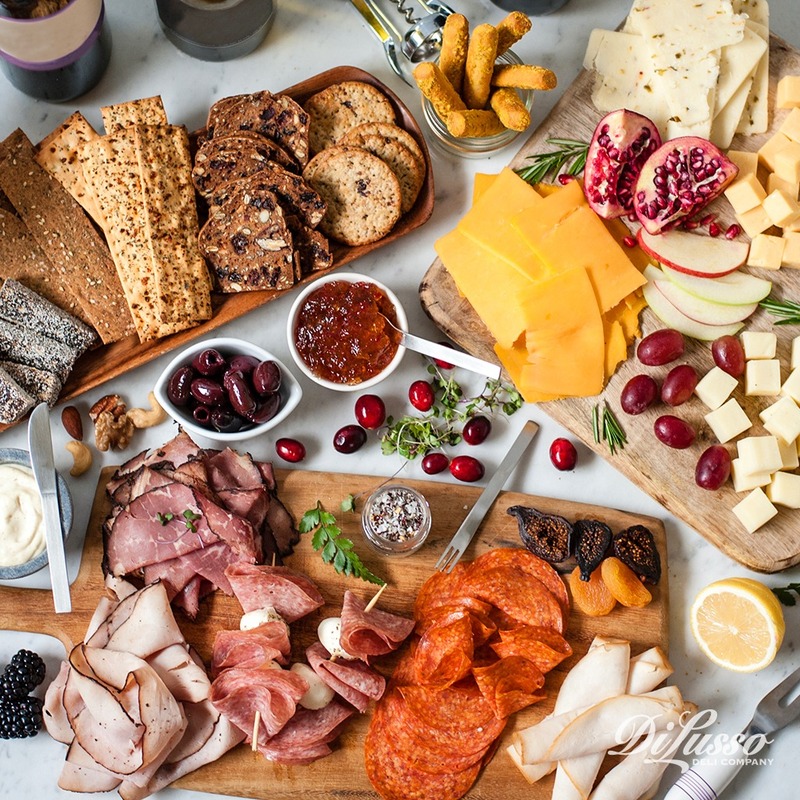 Details: Adding small decorative elements like sprigs of rosemary, twinkle lights and festive serving utensils or tablecloths can enhance the whole ambiance of your charcuterie set-up. 5. Labels: Give everything a label so people know what they’re slicing into. 6. Serving Utensils: Make sure every item has its own serving utensil so flavors don’t mix haphazardly. That means each cheese should have its own knife, each spread should have its own spoon and so on. Notice that we made this plural. You don’t have to squeeze everything onto a single board. When boards are too full, flavors mix erratically and food falls off (cheese cube down!). So use as many as you need to comfortably fit everything you want to include. Don’t be shy about mixing and matching boards of varying shapes, sizes and colors. Dry sausages are charcuterie board classics, and for good reason! Each variety has a unique flavor and texture that make them great counterparts to a variety of other flavors from sweet to spicy to savory. 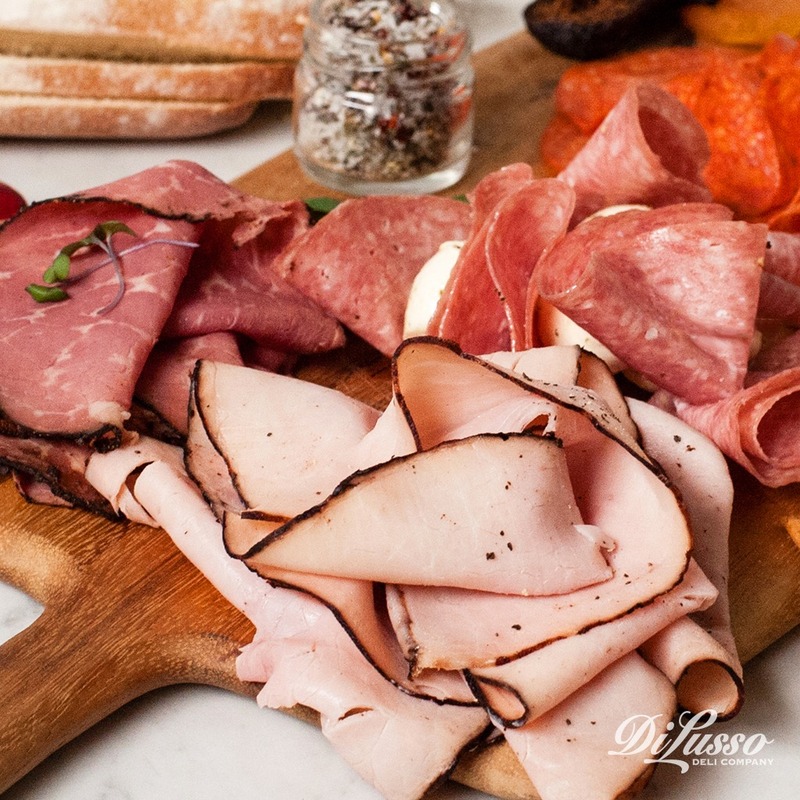 Slowly aged with peppercorns and robust spices, our sopressata will add just a touch of heat to your charcuterie board, while supple and our softly seasoned prosciutto will add a salty and somewhat sweet flavor. Mix in a few garlicky notes with our hard salami. And to pull it all together, the ultimate Italian classic: our Genoa salami. Plan for about 1-2 ounces of meat per person. At the deli counter, ask for your meat selections to be sliced thin (at a 1-2 thickness) so they’re easy to layer. Now it’s time to pair your dry sausage selections with complimentary cheeses. As with everything else, we’re shooting for variety in flavor and texture so aim to include at least three types of cheese. To please palates of all kinds, you can start with a milder choice like our mozzarella or provolone. Its delicate flavor also means it won’t overpower foods with bold flavors like pickled vegetables, jellies or robust dry sausages. For a smoky-sweet element, incorporate something like our smoked gouda. Spice things up with a cheese that knows how to bring the heat. Naturally aged with jalapeño peppers, our pepper jack knows just how to add that fiery flair. Plan for about 1-2 ounces of cheese per person. As with your meat selections, have your cheese sliced thin (at a 1-2 thickness) to make layering easier. 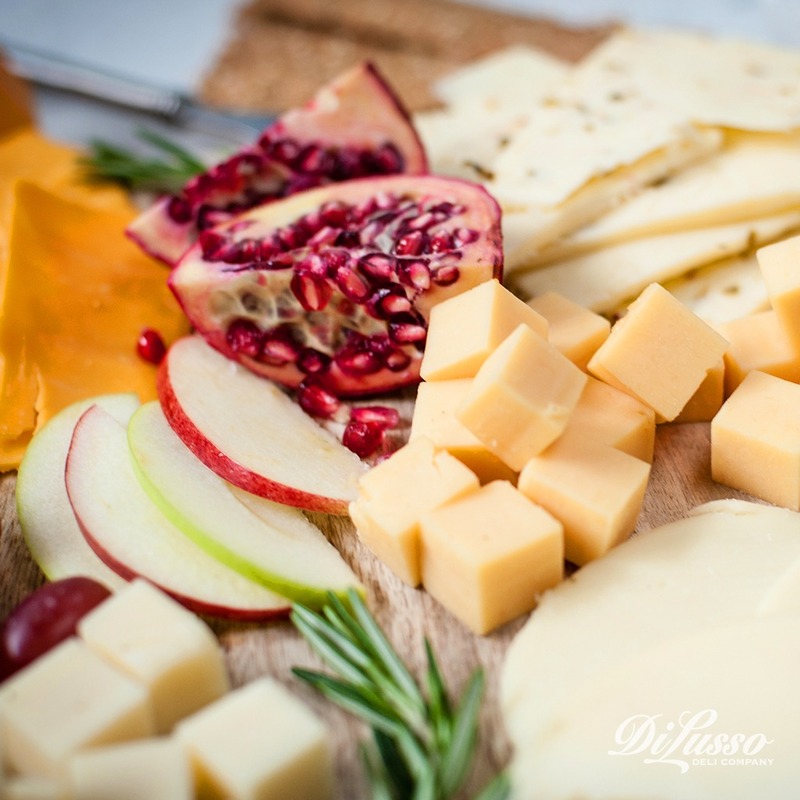 If you’d like to incorporate cheese cubes, or have guests cut their own pieces, have those sliced at an 8-10 thickness. Serving tip: cheese is most flavorful at room temperature, but it’s easier to cut when chilled. So slice your cheese when it’s cold, and plan to let it sit at room temperature for at least half an hour before people start nibbling. 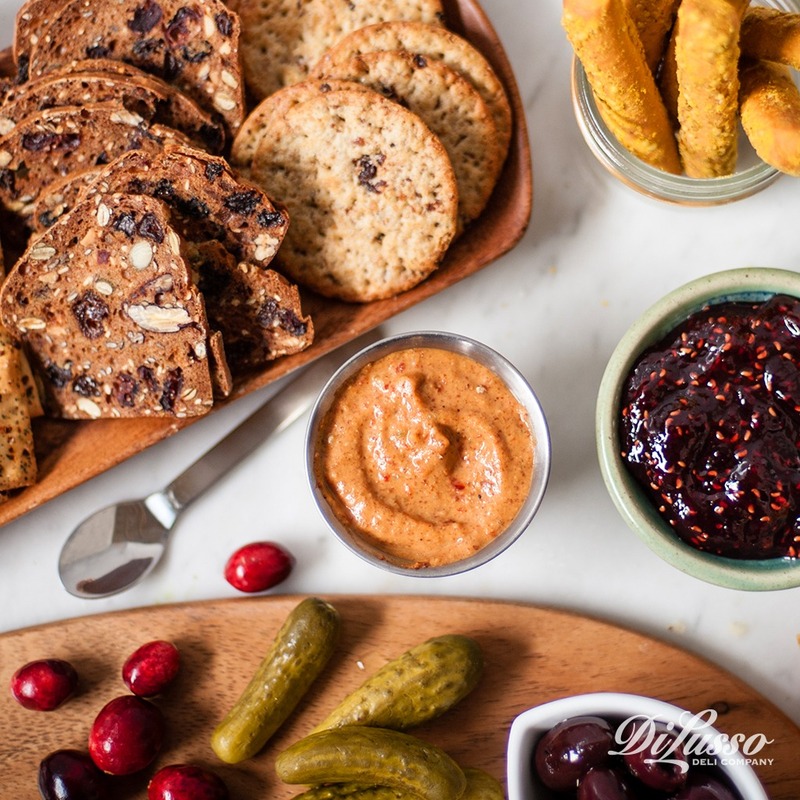 Jams and preserves will cater to those with a sweet tooth while those who crave a little zing will love a spicy hummus or our chipotle mustard. For a mix of spicy and sweet, consider including a red pepper jam and our sweet & hot honey mustard. Add whole grain mustard for a burst of color and texture. This is one of our favorite dips to make at home. The recipe is simple and it combines ingredients you probably already have in your kitchen. Simply mix equal parts deli style mustard, sour cream and horseradish sauce. Serving tip: for a polished look, serve spreads in small dishes rather than in their original plastic containers. An exception can be made if the spread comes in a decorative package, such as a charming glass jar. Include serving spoons for each spread. This is the part that most often gets overlooked, but it’s just as vital as the other elements. You can layer your board with even more flavor and texture by incorporating accents. Add pickled vegetables and olives (black, green or pitted kalamata) for a splash of briny flavor. Raw nuts like almonds, walnuts and pistachios help diversify texture with their crunchiness. During the holidays, candied nuts are a sweet and festive option. Dried or fresh fruit will add some sweetness as well. For a slight charred, smoky flavor try layering our roasted red pepper strips. Also known as “vehicles” or “carriers” because they hold all of your toppings, crackers and bread aren’t meant to steal the show in terms of flavor. They’re meant to provide a stable foundation on which you can build your charcuterie creation. When you’re picking out carriers, think more about texture and structure. Crisp and mild, water crackers make a great base. Baguette slices are softer but still hold up well when stacked with ingredients. Rye crisps and rice crackers are also charcuterie board favorites. Feel free to use our charcuterie board for inspiration. We’ve listed the ingredients below so you can use that as a starting point. Or use the tips above to build your own unique creation. Either way, happy building!